Julia Cameron’s seminal guidebook, “The Artist’s Way,” has helped millions of people tap into a creative life. She believes creativity is our true nature, and we all can and should create, regardless of ability and age. Many older adults, especially those living in retirement communities such as Kendal at Oberlin where creative and lifelong learning opportunities abound, are following Julia’s advice. “We welcome submissions of creative work of virtually any kind by Kendal at Oberlin residents,” the publication states. Eureka! is published three times a year and distributed to all residents. Kendal’s renovated Arts Studio is designed for both serious artists and novices interested in learning a new skill or just dabbling in one. Activities in 2015 included watercolor and pencil sketching classes and sessions on pottery and crayon batik. Residents can reserve storage space and one of the drafting tables, sign up for a class or offer to teach one. In other areas of the campus, artists from Kendal, Oberlin and elsewhere display their artwork in designated galleries – photography, ceramics, fiber art, and more. A reception is usually held for the artist so residents can learn more and ask questions. And a short walk or drive away is the Allen Memorial Art Museum, free and open six days a week. The renowned Oberlin College Conservatory of Music, the oldest continuously operating conservatory in the United States, gives Kendal residents hundreds of opportunities to sample superb music. They can attend free concerts on the college campus as well as those performed at the retirement community. And sometimes residents even get in on the act, like they did last year. The one-act opera, “Strawberry Fields,” was comprised of Conservatory students and Kendal residents, including scene designer Bob Cothran and Allen Huszti, who played the workman and sang in the chorus. “The wealth of talent that Oberlin has and to be able to participate in that was really very special,“ said Allen, a retired music professor from Sweet Briar College in Virginia. 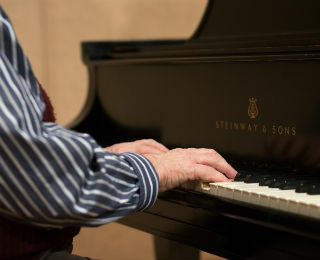 During the month-long practices, college students got a first-hand view of what it means to be an older adult and Kendal residents gained an appreciation of the talents of younger adults. The opera was performed at both the college and at Kendal. Kendal’s Music Committee also schedules performances by the many Kendal musicians. And new musical initiatives are always welcome. 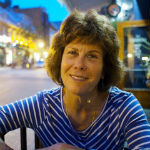 Several months after Jean Slonneger moved to the community, she put the word out that she was looking for people interested in playing the recorder. Now she has six dedicated players who meet twice a month, sometimes more often, to play Baroque and Renaissance music, and learn more about the wind instrument. Creativity at Kendal reaches beyond making music, painting and writing. Members of the Woodshop make furniture, keepsake boxes, birdhouses and other projects. About a dozen residents are involved with the flower arranging committee, whose mission is to create floral arrangements to enhance the warm and welcome atmosphere of the community. Members use only fresh or dried flowers and potted plants (donated or purchased), and select a vase from an array of colorful ones in their collection. Chair Fran Cooper said members are encouraged to be creative and develop their own style of arranging. And the list goes on. 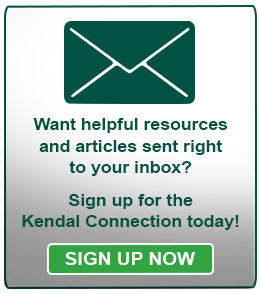 Kendal residents pursue and are always looking for new outlets to express their creativity. And in the process they are reaping lots of other benefits, according to Barbara Bagan, professor and author in the field of creative arts. Additionally, expressive art exercises constitute innovative interventions to promote self-expression and improve communication with others,” Bagan writes. So it’s never too late to try boosting your creativity. However you choose to nurture it, you’ll enjoy the positive benefits of creativity. You’ll feel better about yourself, your health and the new friendships you develop along the way.